one of the greatest gambists of all time. Famed for his virtuosic improvisations, he published none of his 300-odd pieces and died in 1745 in Mantes where he had moved in 1731, after having suffered serious financial setbacks, especially in the course of Law�s bankruptcy. Aside from a few handwritten pieces copied in the collections of other composers, Forqueray�s pieces have been lost. The release of the Pi�ces de viole, to which the present recording is devoted, is thus the sole important testimony to his oeuvre. 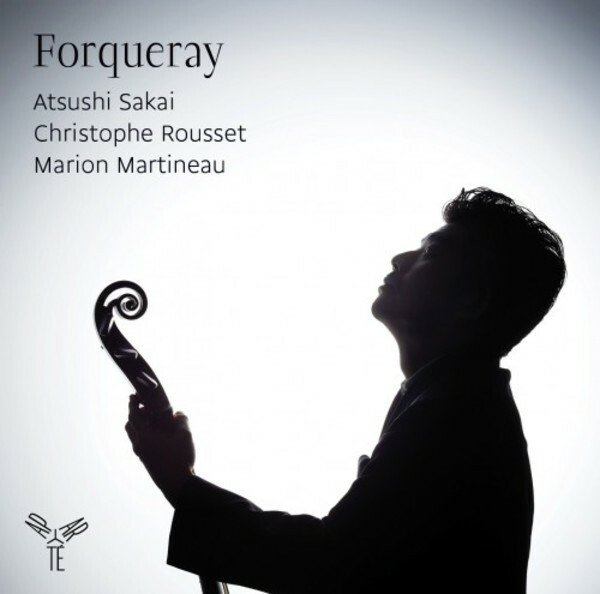 Atsushi Sakai studied cello with Christophe Coin and is often to be found as a continuo player in ensembles such as Les Talens Lyriques and Le Concert d'Astr�e, with which he has performed in a large number of concerts and recordings. He is co-founder of Sit Fast (consort of viols) and the Quatuor Cambini-Paris.